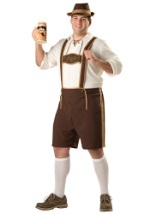 Celebrate Bavarian heritage with a weissbier in our men's German Beer Festival costume. 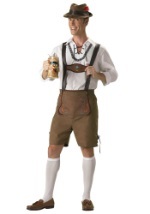 The men's costume includes a cream, polyester shirt that has three-quarter sleeves. It laces up over the chest with a brown cord and has a collar. 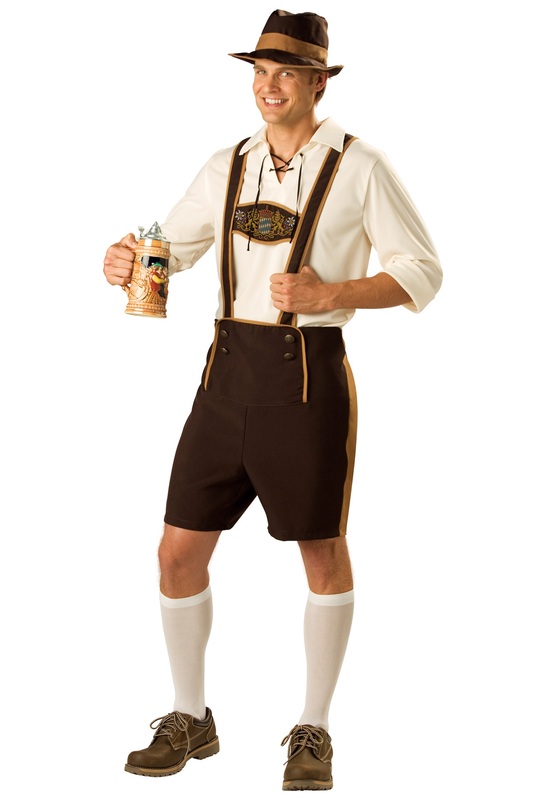 The dark brown lederhosen are also made from polyester and trimmed in light brown. 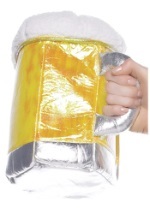 The straps criss cross in the back and are connected in the front by a traditional German pattern which includes a shield, lions and flowers. 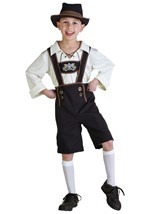 The shorts are lined with elastic in the back and have decorative faux buttons over the waist. The costume is complete with the white knee-high socks and a matching brown hat that has a circumference of 22". 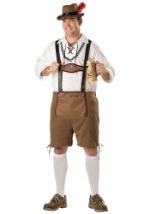 Add our beer goggles to this traditional look or join a beer girl for a great couples costume to make you say, "Prost!"